Longing for some greener pastures? 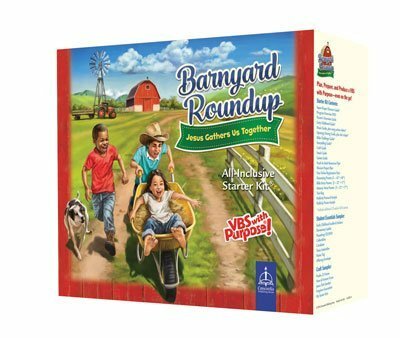 Spend your summer on the farm with Cow-a-bunga Farm VBS or Barnyard Roundup VBS! 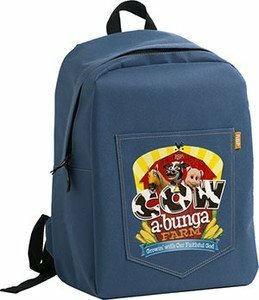 Cow-a-bunga Farm is the evangelistic VBS , equipping every teacher to share the salvation message. The program is gospel-centered and weaves the salvation message into every lesson. You can trust Regular Baptist Press’ solid theological framework and desire to teach Bible truths using age-appropriate methods. God’s Word is His never-ending story of love—and we’re a part of that story. As kids learn about God’s faithfulness as revealed in the life of Joseph, they’ll be encouraged to grow in godliness and to trust in God’s plan. Students will experience life on the farm—complete with animals, tractors, and growing crops. Jump into a VBS that’s all about purpose! 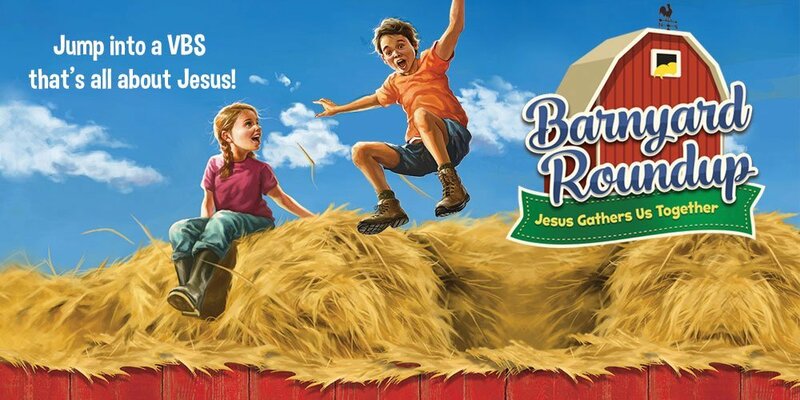 Barnyard Roundup’s Bible based lessons are built with a message that engages and enriches kids for a lifetime. The realistic and contemporary theme is a bridge for kids to connect to Biblical people and life.Concordia Publishing uses realistic art to give kids confidence that the Bible is real and true. Everyone starts and ends the day gathered ‘round the cross for God’s Word, Good Times tunes, mission moments, and video skits.Kids will experience high-energy tunes that will keep them moovin’ and groovin’— and singing about God’s Word long after VBS is over.Storytelling scripts involve every child to make storytelling memorable, engaging, active, and fun! Plus, new this year—kids get their imaginations moving with Science in the Sheep Pen. Gear up for Cow-a-bunga Farm or Barnyard Roundup VBS with custom farm-themed t-shirts. Customize any design with your church name for FREE, and choose from hundreds of shirt and ink color combinations. Plus, get FREE SHIPPING. 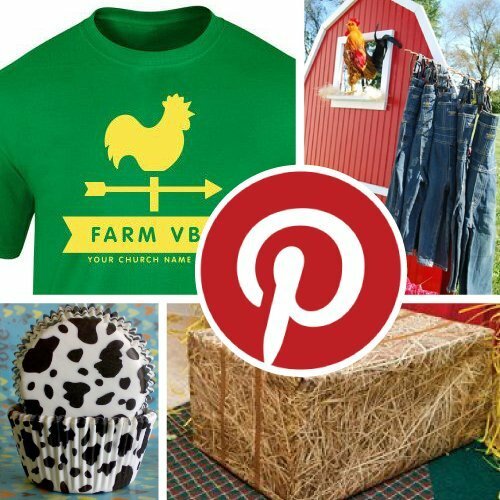 We’ve pinned tons of DIY ideas and inspirations for Cow-A-Bunga Farm and Barnyard Roundup VBS! Check out the board for DIY decorating, easy snacks, VBS tips and farm-themed volunteer gifts.